NHL referee, or disco inferno? Or both? The National Hockey League is a rare beast in that everyone associated with the sport— players, coaches, owners, media— acknowledge that the game's referees freely shape the narrative of each game. Think about that for a second. Maybe two seconds. "...while every Referee's attempted objective is to maintain a 'consistent' standard, he might alter that standard to grab a quick penalty with an eye toward fairness." This comes on the heels of Kerry Fraser saying that the current crop of NHL officials' patience with the Penguins has "worn thin" because the team's players "have too much to say." 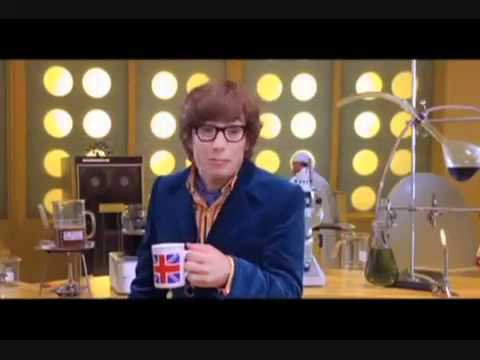 Now, as Austin Powers would say, "Whoop dee doo! What does it all MEAN, Basil?" It means that when the puck drops for the Stanley Cup Playoffs on April 15th, the men in black and white have a lot more to say about the outcome of each series than perhaps they should. Every team knows this, but no team wants to be the proverbial hand that rocks the cradle (Rebecca De Mornay style), thus hurting their own chances at winning. The Pittsburgh Penguins know this reality better than most, with the dearth of power-play opportunities afforded to them in early March a clear indication that a change in attitude/respect toward referees was needed. The amazing website FiveThirtyEight.com did a great feature last year on how officials swallow their whistles during Game 7's of the Stanley Cup Playoffs. ...except for in games 2 & 3, when penalty calls SURGE upward. While that may sound like a somewhat arbitrary distinction, games 2 & 3 are historically "tone setting" affairs, and regardless of the outcome, the winning and losing teams are inclined to mix things up physically to "send a message" about how the rest of the series will unfold. As the article details, regular season/post-season penalty disparity reshapes with a smaller sample (1998 onward), but that's where the statistics fall apart. To that end, the Penguins/Flyers dumpster fire in 2012 is the classic example of two hockey rosters that spent the vast majority of time fighting one another instead of, you know, playing hockey. 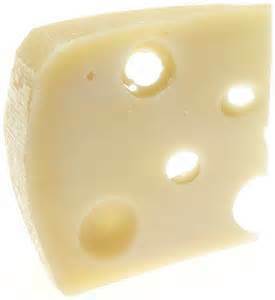 The Flyers ultimately prevailed in that series, of course, when their power-play defied statistics and clicked at a 373% success rate and Marc-Andre Fleury did a stellar impression of Swiss cheese. A series like that explains some of the statistical anomalies, since brawlfests' accrued minutes are distributed among all teams across all 60 minutes, and the playoff uptick in misconducts of both the 10 minute and game variety clearly adds to the penalty total of the post-season. 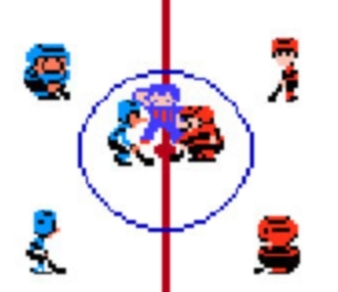 1) ideally, the officials (and the NHL) want the players to determine the outcome during 5-on-5 play. If an official awards one team a power-play and that team scores, there's an inherent tendency to allow the other team a chance to tie the game via a similar man-advantage situation. 2) the league wants to encourage a more physical and attractive product to hook the casual viewer by allowing more hits & more goals. If the angle of "improve how the product looks" sounds a bit conspiratorial to you, it isn't: every major sport (except for the NBA, because pfffft, it's the NBA) undergoes overhauls to "improve" game to better cater to its viewers. The NFL has done everything possible to increase scoring; similarly, MLB is shrinking the strike zone and considering banning defensive shifts because offense sells (see: McGuire, Sosa, Bonds, et al.). The 2004-2005 NHL lockout was SUPPOSED to overhaul the game by eliminating obstruction, but inexplicably, referees now allow virtual mugging through the neutral zone, which in turn slows down the pace which invariably leads to fewer goals and....oh no, I've gone cross-eyed. Say what you will about John Tortorella (and many, many, many people have), but the man knew that his post-game interviews were a primo opportunity to prime the officials to watch for various infractions (see: the other team's advantages) and to play the always-popular victim card in a blatant and shameless attempt to earn his players one power-play. I started to compile a YouTube hit list of coaches telling officials exactly what to look for (including the type of play and the offending player) to try and buy a call, but really, the list includes every coach on every team in every series, ever. The idea is brilliant: let's say that that a team runs a pick in the high slot to free up a player for a one-timer opportunity (hint: most teams do this). This tactic, despite existing in the basic offensive repertoire of every player out on the ice, is technically a penalty for interference. If Team A knows that Team B runs this play to great success, the coach will make it a point to tell everyone, many times over, that Team B runs interference and that the officials need to call that penalty. The next game, Team B gets a power-play and after Team A's defender barely bumps into the pick, he flops to the ice, the apparent victim of a gunshot wound from the grassy knoll. On the bench, the coaching staff exchanges a smirk among themselves. Difference #3: The final minute of play (and all of overtime) is a free-for-all. The referee's unwillingness to call penalties is Game 7 is matched only by their unwillingness to call a penalty in the waning moments of a contested game, or during overtime when any borderline call resulting in a team victory is grounds for controversy and league shame. The Penguins' dramatic win in Game 7 of the Stanley Cup Finals over the Detroit Red Wings in 2009 is remembered best for the frantic final seconds when Marc-Andre Fleury had to stop hall-of-famer Nicklas Lidstrom's point-blank wrister as time expired to secure victory. The game never should have come to that: with only 13 seconds left, the Penguin players on the ice should have more or less all called a player, and then respectively tackled him to the ice. Granted, Lidstrom would have probably still been wide open for a shot at the point, but at least Fleury would see that shot with no traffic in front of him. Regardless, the point is this: no official wants to be known for calling the last-second penalty in a critical Stanley Cup playoff game that cost a franchise and its fan base a fair shake at post-season glory. Only the most egregious of the egregious penalties are going to be whistled, and as the 538 article suggests, the team that takes the knowledge of lax officiating standards to heart is likely going to be the winner because they'll be playing with an edge the opponent won't match. The takeaway from all of this is that your eyes are not deceiving you whenever something that was a penalty for 82 games worth of regular season play suddenly isn't called: the referees are playing in their own variation of the playoffs too, and their rules definitely change.